The book is split into two parts. Part One gives a detailed introduction of Myers-Briggs and tips to help you identify your child’s type. This section is very comprehensive and would even be a good introduction for adults who are interested in learning about Myers-Briggs and figuring out their own type. These chapters cover the basics of the four dimensions of type, the cognitive functions, Kiersey temperaments, and brief descriptions of each type. You will need to know your own type and that of your child, as well as anyone else in the family, in order to fully utilize this book. Part Two includes a chapter devoted to each of the 16 types, with detailed information on how that type is usually exhibited in children and how best to approach parenting in a way that will help the child become happy and fulfilled. There are also tips on the most common interpersonal, psychological, and behavior challenges for children of each type, how to approach them, and how to discipline each type effectively. For example, depending on type, some children need the structure of firm household rules, while some will just see rules as challenges to be broken. Each chapter in Part Two is broken down by age: Pre-school (birth to age 4), School-age (ages 5-10), and Adolescent (ages 11-16). The pre-school sections indeed describe much of my daughter’s current behavior, but I love reading ahead to the sections about older children. My husband and I have always been keen to discuss parenting hypotheticals and how we will respond to possible challenges at each stage of AJ’s life, but this book narrows the speculation and gives a fairly specific view of what challenges to expect at each stage for each child’s personality type. For example, INFPs are prone to problems with low self-esteem and depression during adolescence, while ESTPs tend to struggle with academics and have little interest in preparing for the future. My daughter AJ has a very strong personality that has been apparent since before she turned one. I’m certain she is either ENFP or INFP. She is very imaginative, likes to explore and constantly experience new things, and gets bored easily. She seldom plays with actual toys and never plays with them the way they are intended to be played with, instead inventing games and experimenting with household objects. She has very strong emotions that change at the drop of a hat, and she gets very upset if scolded even slightly. She’s not very good at learning from past experiences, and she’s not very aware of her physical surroundings. She is very sensitive to the emotions of others, and becomes concerned when anyone else is upset. According to the book, children need to be taught to develop their primary cognitive function first, because only when the primary function is mature will they be able to develop their other functions. This will be a challenge for me and my husband because the primary function for INFP’s is Feeling, and for ENFP’s it is the secondary function. Feeling is my least mature function and the one I use the least, but it is my job to encourage AJ to use and explore her Feeling function. It will be a big challenge, but I think it will also help me to become a better Feeler myself. Even while she is still a toddler, this book has made me realize that I need to set AJ up for success by meeting the needs of her type. As an INTP I would prefer to stay home and encourage her to do quiet activities, but I know that she needs to explore different environments, see new sights and people, and experiment with emotions and social interactions. This book has enabled me to see that many of the behaviors that I find frustrating—like her extremely volatile tantrums and her constant need to push the limits—are just part of her natural way of expressing her personality. That has helped me be a more patient parent and have a better attitude about these things. My own mother was an ISTJ who was constantly pushing me to be more like her, and that caused a lot of resentment. Because I didn’t know about Myers-Briggs until I was an adult, for my entire childhood I thought that she was right and I was abnormal. To me that illustrates why it is so important for parents to understand and affirm their children’s Myers-Briggs types. There’s a reason why Nurture by Nature is focused on the child’s type instead of the parent’s. A child’s needs are the same regardless of what her parents’ Myers-Briggs types are. All parents have something different to contribute according to their own type, and it’s important for us to consider our own natural strengths and weaknesses. As AJ grows, I want her to learn about my and my husband’s Myers-Briggs types so she can understand why we are the way we are. But the most important thing is for me to understand her and meet her needs. And knowing her Myers-Briggs type helps me to appreciate my daughter more and love her for who she is. Thanks for this. I am also an INTP mom (and and atheist) and an MBTI and Jung enthusiast. 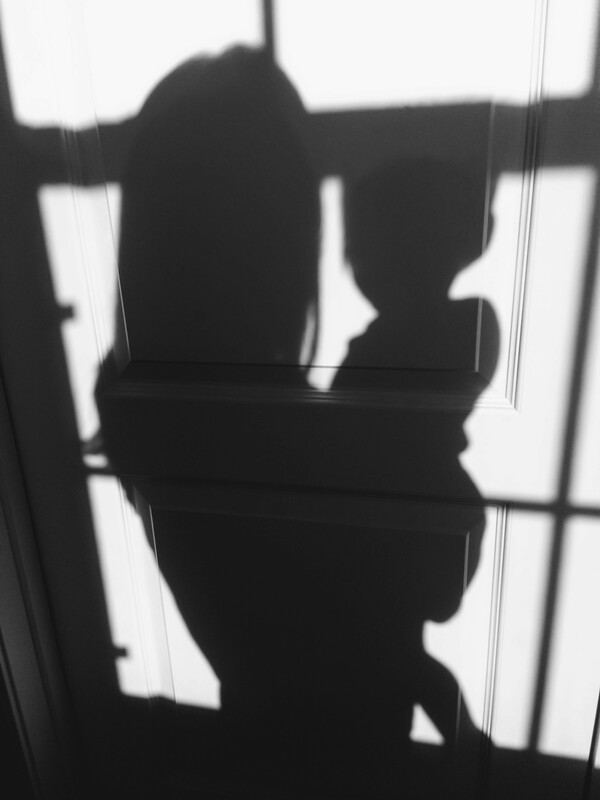 My son is 6 months old and I notice a lot of the things I find interesting/exciting or difficult/stressful about motherhood are very different from other mothers I know. I know this is very related to temperament. There is a book similarly structured to the one you discuss here but it focuses on MBTI as it impacts mothers rather than focusing on the kids. A lot of it is unsurprising but it is still a good read, and interesting to see it applied that way. It is called Mother Styles. I also got a lot out of a book called Survival Games Personalities Play (I think that’s the title). It takes Kiersey and several other systems and uses them to explain unconscious behaviors that people might call ‘acting out’. I will also check out the book you mention. Thanks for your blog. I just came across it and have enjoyed reading about your experiences and insights. Hi, enjoying reading thru ur blog, in the same boat as yours. Nice blog!! As an ENTP with an ISFJ mom, I identify with feeling a total disconnect in becoming the proper woman my mom imagined. (I have to give her credit, though — she’s tried very hard to humbly learn from me and, in return, enforced a number of practical life skills that I never would have developed alone. Showering, for example. 😉 It’s exciting to know it’s possible to pick up on type so early in life — it’s something I’ve spent a long time imagining and thinking about as a parent-hopeful. I think I remember reading a description of ENTP children from this book and laughing with my mom at how perfectly it fit me, but I’ve never seen the actual text. I’ll have to pick up a copy before I have kids.